Google’s latest tablet, the Pixel C, was not originally designed for Android. 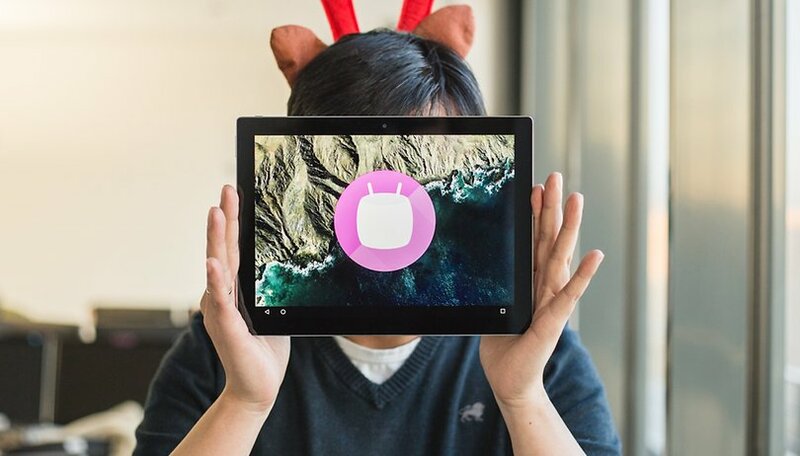 Despite running Marshmallow, recent speculation suggests that the Pixel C was intended as a ChromeOS device, and may have been rebranded as an Android tablet only to launch in time for Christmas. Ars Technica reports that, despite the tablet hardware being in the works since around July 2014, the decision to launch it as an Android-only device may have only been made in July this year, when Google cancelled plans to create it as a dual-boot device with ChromeOS, Google’s browser-based operating system, found on its Chromebook tablets. The release of the Pixel C with Android, then, could be considered as an attempt to salvage a product which would otherwise have been abandoned. Perhaps as a result of this, the tablet-laptop hybrid is lacking critical features, not least multi-window support, which significantly dents its appeal as a productivity tool. The Pixel C, for all its qualities, feels as though it's not quite finished, and with that in mind, we wouldn't recommend buying one until it's caught up with its potential. We know that Google is working on adding to its feature set (multi-window support is in the pipeline), so it might well be worth waiting until those appear – perhaps even until it gets Android N – before investing in a Pixel C.
In October, a rumor suggested that this operating system would be merged with Android in the near future. Perhaps the restructuring of Android and ChromeOS is the reason why the Pixel C's design aims changed. What are your thoughts on the Pixel C? Are you surprised to learn that it may have never been intended as an Android tablet at all? Let us know in the comments. I don't care about multi-windows so much, as I know Google will implement it in future updates. What bugs me more is 1) keyboard is not backlight 2) I read in some sources that USB otg is not supported. Can you confirm that ? It's clear that you guys don't like the Pixel C, and nobody cares. No longer a fan of Android Pit. I, for one, went ahead and purchased one without hesitation, should be delivered today. I wanted a 10+ inch pure android tablet for the past 2 years, was disapointed by the quality of the N9 and the N7 2013 was too small so to me, this is PERFECT (could be cheaper though). Answer this : "The Pixel C ... feels as though its not quite finished". How so? If the hardware is awesome, with the current state of Android (6.0.1), if Google was to release a 10 inch pur Android tablet, what exactly would have made you consider the product as "finished"? What makes this one "unfinished" from an Android standpoint? Firstly, I'm glad that you like it!! For me, I would have preferred to be able to work with more than one app at one time. Flicking between individual apps is kind of a pain. Also, would have been nice to have all of the Google apps optimized for horizontal viewing, and anybody who is interested in using it for coding might miss some of the keyboard symbols.